Do you want to get away from the hustle and bustle of the metropolis without going any further in Metro Manila? 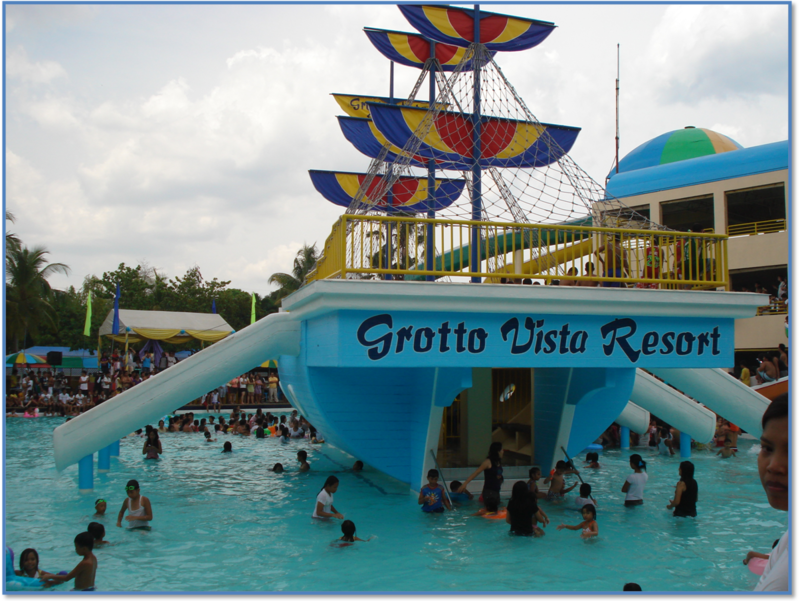 You may visit the Grotto Vista Resort in San Jose Del Monte Bulacan. This resort is 15 minutes away from SM Fairview and only 100 meters away from the Our Lady of Lourdes Grotto. You can even spend overnight on this resort. From Cubao/EDSA – Take the bus going to Fairview-Tungko-Sapang Palay. 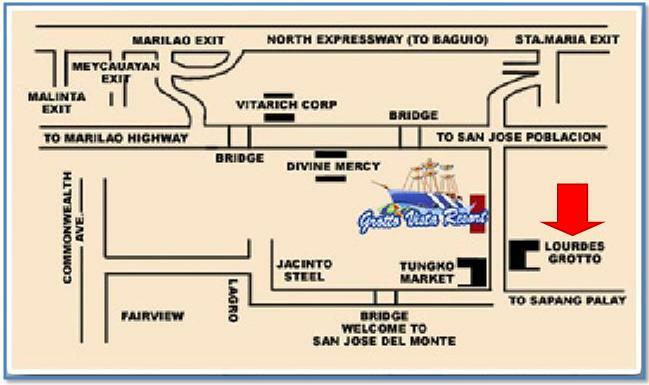 Get off at Tungko San Jose Del Monte Market (with Jollibee) and ride tricycle going to the Grotto Vista Resort. From SM Fairview or Lagro – Ride a jeepney or bus going to Tungko or Sapang Palay. 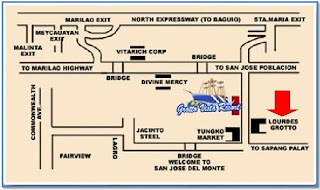 Get off at Tungko San Jose Del Monte Market (with Jollibee) and ride tricycle going to the Grotto Vista Resort. From SM Fairview or Lagro, drive all the way along Quirino Highway to Tungko Market, San Jose Del Monte, Bulacan. Turn left at the intersection (where you see Jollibee) going to Sta. Maria-Tungkong Mangga Road. Drive along this road until you see the Grotto Vista Resort on the left side. For more details and pricing, please visit their official website. pano po pumunta jan if galing po kami sa sm manila? Option 1 - Take LRT1(Central Stn) to D.Jose Stn. Then transfer to LRT2 (Recto Stn) bound for Cubao. From Cubao follow my instructions on the Blog. Option 2 - Take Bus or FX bound to SM Fairview at Taft Ave. Then from SM Fairview follow my instructions on the Blog. From Taft Ave, drive to Espana. Then straight to Quezon Ave up to Quezon Memorial Circle. From Quezon Memorial Circle, drive through Commonwealth Ave then turn right to Regalado Hi-way. and then drive straight to SM Fairview. From SM Fairview follow my instructions on the Blog. anu po sasakyan pag galing ka po ng MacArthur Highway (Valenzuela)? I am not familiar with the place. But based on google map, from McArthur Hiway Valenzuela go to Marilao. Then from Marilao ride bus or jeepney going to San Jose Del Monte Bulacan. Then get-off at San Jose Del Monte-Marilao Road corner Sta. Maria-Tungkong Manga road. There is a Santrans bus station at that corner. From Sta. Maria-Tungkong Manga road take jeepney going to Tungko Mangga jeepney station near Nolasco Public Market. The jeepney will pass by the Grotto Vista on the right side. PAANO PAG GALING NG PROJECT 8 QUEZON CITY? WE HAD A CAR THOUGH. magkano po entrance fee ? Pwede Po Ba Mag Pasok Ng Pagkain Sa Loob Ng Resort ?